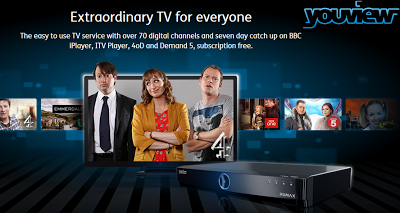 YouView explain where they are: Android app, Internet television and how they're doing! YouView are a UK company which offer you subscription free TV and all you really need is to buy the box and hook it up to your internet and you're good to go. With such a simple solution it's not too much wonder than the box is being labelled as the "fastest growing TV product in the UK." YouView's CEO, Richard Halton, said that the system s now live in more than 400,000 homes in the UK and about 2.2 million video streams are viewed each week. That includes an average of 3 hours of week of on demand TV per box and about 60% of the users make the most of the OnDemand services which are offered on the platform. YouView don't have exact details on which providers offered how many of those boxes, but TalkTalk said that they've installed 230,000 so that means the rest are BT and other sales of the boxes. "We are far from resting on our laurels … If launching was crossing the start line, this is the first marker." YouView have confirmed that there will be support for internet TV channels coming to their set top box! The company said that this will give the company a massive boost from their current line up of 70 live TV channels which they offer already. YouView did say that initially the TV channels will be offered through BT and TalkTalk so you'll need to be a customer of one of those companies initially and don't worry you can get both HD and standard definition TV shows from these providers. There will be a software update for the YouView boxes which will add in the availability this summer and the hope is that it will be ready for BT's new sports offerings! After this integrating update there will be another one in autumn this year which will add pause, skip and record features. YouView also confirmed where they are with their Android app. Obviously mobile devices are vital to television offerings these days and the company already has an app for iPhones out in the wild, but YouView have said that the Android app will have the exact same functionality as the iPhone app and it will be available in "the next couple of weeks". The app will be optimised for the Samsung Galaxy S2, Galaxy S3, Galaxy Ace, Nexus 4 and HTC One S and it should work on any device with Android 2.3 or greater! Via PocketLint (1), (2) and (3).